The two phones being reviewed here are almost identical in quite a few ways and in fact, even have similar names. Yes, we’re talking about the LG G3 and the Sony Xperia Z3. Both these phones also share a similar history as they are updated versions of their wonderful predecessors: the LG G2 and the Xperia Z2 respectively. The similarities just don’t end there as both devices share almost identical components including the powerful 2.5 GHz Qualcomm Snapdragon 801 quad-core processor and 3 gigs of RAM. Although, the G3 does come with a 2 GB RAM, the 3 GB still remains the variant of choice. Both devices have 16 GB and 32 GB storage options with expansion limits up to 128 GB and even run on very similar batteries; the non-removable 3100 mAh in the Z3 and the removable 3000 mAh in the G3. Now, this is where the devices start to exude their individuality. The G3 follows a smooth and stylish design with a curved rear and rounded sides. The phone is mostly made of plastic, but the brushed metal look creates a sense of sophistication. The Z3 boasts a superior build quality with a metal frame and a rear made of glass. In terms of design, the Z3 follows a very contemporary rectangular design with slightly curved edges. The rectangular shape isn’t very ergonomic and can induce discomfort during extended usage. Both phones weigh pretty much the same with a difference of about 3 grams; the heavier one being the Z3. To begin with, both phones enjoy IPS-LCD displays, but the G3 beats the Z3 in terms of resolution and picture quality. The G3 boasts of a 5.5 inch 2560 x 1440 Quad HD display with a pixel density of 538 ppi. The Z3 falls behind significantly in this area with its standard 424 ppi 1920 x 1080 display. 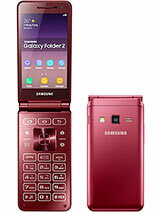 The T-Mobile G3, especially, has a few unique features including the WiFi calling facility, wherein T-Mobile users can make calls over their WiFi connection instead of the regular voice calls. The WiFi calls depend on data usage rather than minutes, which is a boon if you don’t have an unlimited plan. If you do need it, T-Mobile also provides users with an unlimited data plan which makes surfing the net a less annoying activity. Considering the G3 has an amazing display, an unlimited data plan makes sense as users would love to stream HD content on this phone. It is quite tough to decide which one is a more suitable option since both phones display a lot of similar features, but the G3 seems to be a winner, though not by a mile, but rather by an inch. The factors that make the G3 a better option is that it comes with a fantastic display and with an off-contract price tag of $600, it is much cheaper than the Z3’s $885. With the 2 year T-Mobile contract, the G3 works out even cheaper by shaving off an entire $400 from the off-contract price. This works very much against the Z3 since it is not available on contract as of now, which means you will be forced to surrender to the $885 price tag. Nevertheless, if sources are to be trusted, the Z3 will be available on contract by the end of 2014 exclusively under T-Mobile. Till then, it’s the LG G3 T-Mobile all the way. Anti-spam techniques can be broken into four broad categories: those that require actions by individuals, those that can be automated by email administrators, those that can be automated by email senders and those employed by researchers and law enforcement officials. We present here top five cloud-based anti-spam for your domain.